Candy clay works just like fondant, but tastes like chocolate! 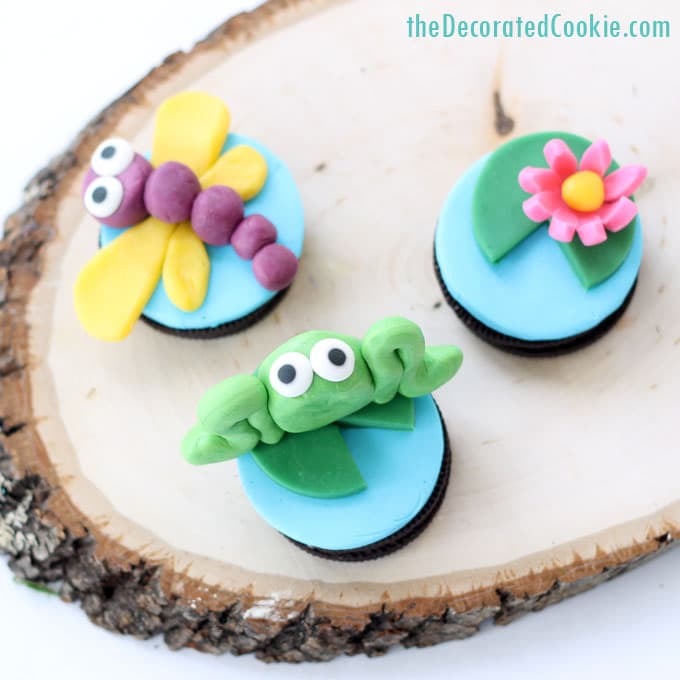 Here I make candy clay frog Oreos and other swamp creatures (pond creatures?) to sit on Oreos. 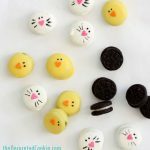 If you like these, check out these chocolate-covered birthday Oreos. 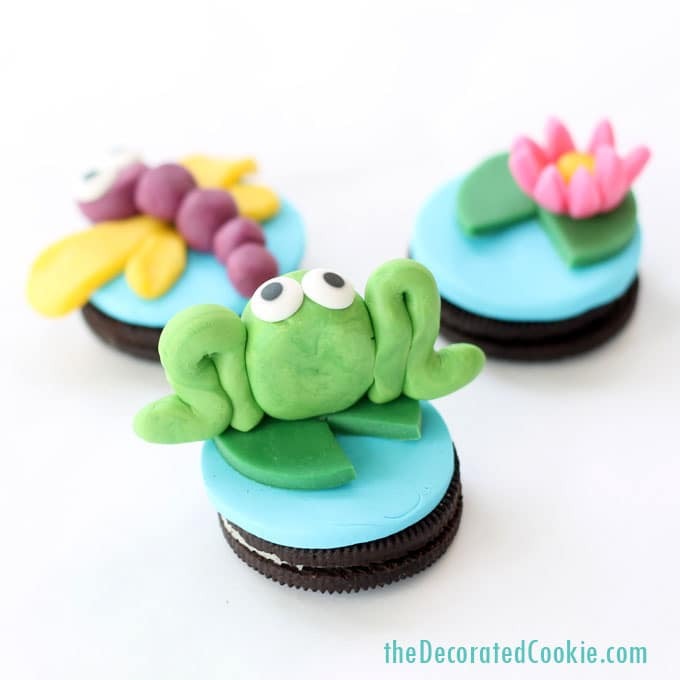 These cute frog Oreos (and dragonfly and water lily on Oreo “ponds”) are perfect treats for any party. 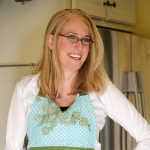 Remember not too long ago I told you all about my Fun Food Blogger Retreat hosted by Beth of Hungry Happenings? One of the best moments of the retreat was when Beth taught us how to make candy clay. 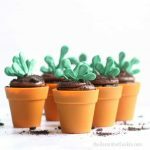 It’s super easy to make, works just like fondant, but tastes infinitely better. 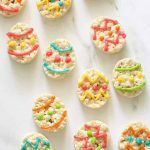 If you follow Beth’s exact instructions, it’s the most incredible, user-friendly food decorating hack I can share. She described it as having a taste and texture to Tootsie Rolls, which I thought was pretty accurate. 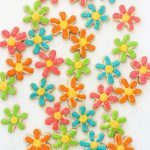 To learn to make candy clay, watch Beth LIVE here on facebook. 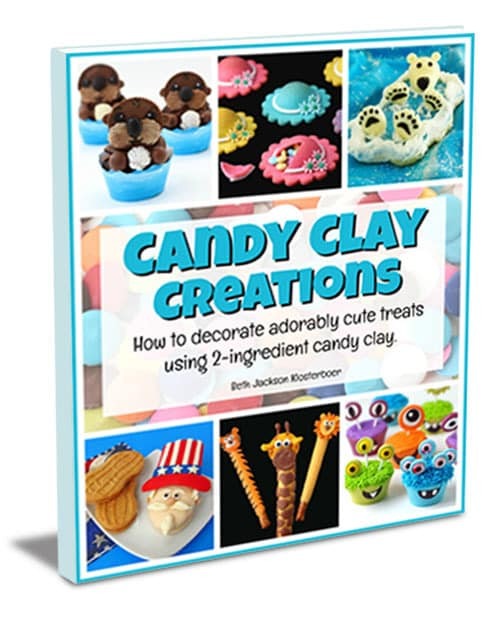 I also suggest purchasing her Candy Clay Creations ebook. I read the whole thing and it’s freaking fabulous. Every single thing you need to know is in the book, told simply and clearly. On to frogs and swamp (pond?) type things. 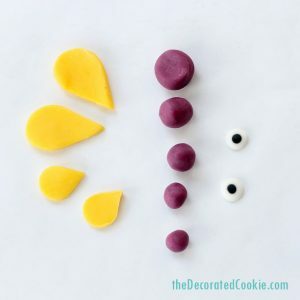 The candy clay recipe, briefly (I highly advise watching Beth’s facebook video or getting the ebook): Melt a bag of candy melts in any color in the microwave just before the candy melts fully melts. Stir the candy melts so the residual heat fully melts the candy melts (do not overheat the candy melts). Once the temperature is about 90 degrees F, stir in 1/4 cup of light corn syrup. Stir well and let the candy clay rest. Wrap well in plastic wrap and keep at room temperature. 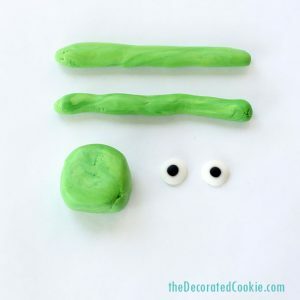 To work with candy clay, just knead until it’s the right texture. If it’s too sticky, let it sit out a bit. 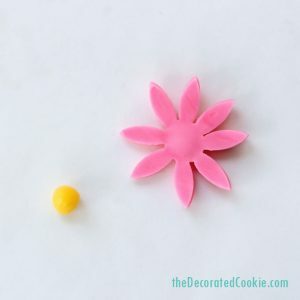 Beth introduced us to this silicone mat which was a great tool to use under the candy clay when rolling it out or shaping it. 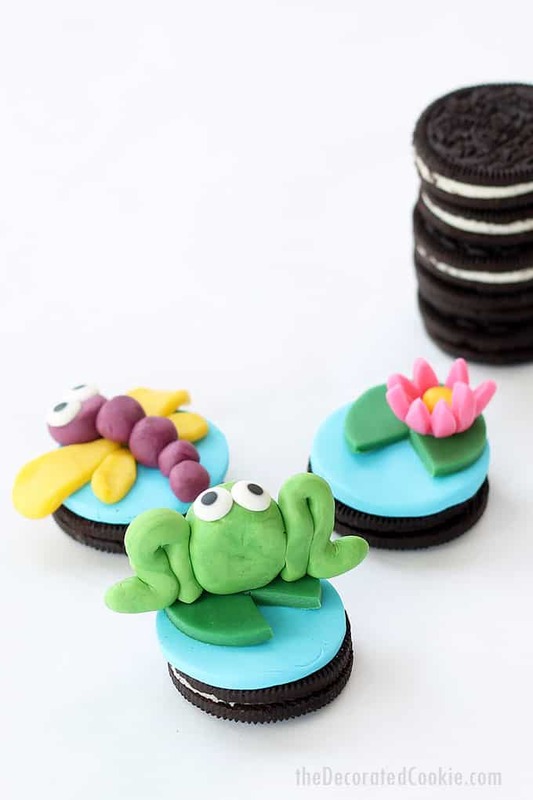 While at the retreat, I made frog Oreos using candy clay. 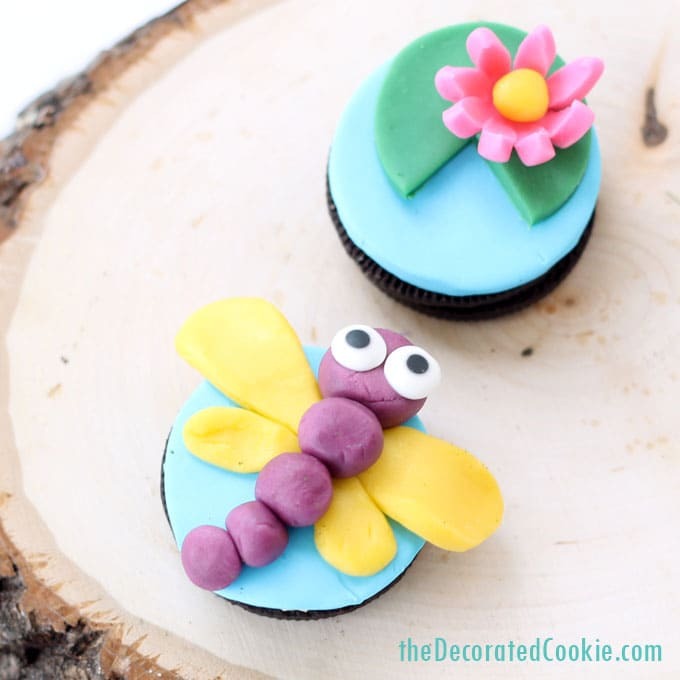 I kept going and also made a dragonfly and a lily pad with water lilies. 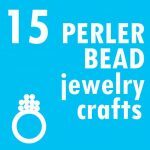 *You should be able to find the above in the craft store, but if you click on the links, you’ll see some ideas for products that will work. 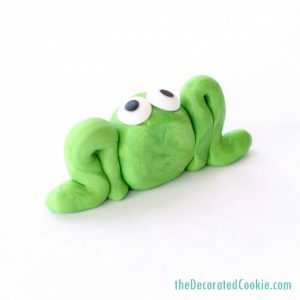 TIP: Instead of making two shades of green candy clay, you can also make a lighter green candy clay for the frog by mixing yellow candy clay with a bit of darker green candy clay. 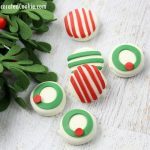 First, roll out some blue candy clay and cut out 1 3/4 to 2-inch circles, whichever circle cutter you have that fits the Oreo best. I used a silicone rolling pin on my silicone mat. 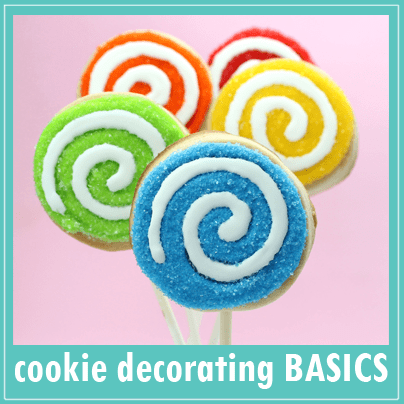 You may also use any rolling pin and roll between two pieces of wax paper or use confectioner’s sugar to prevent sticking. 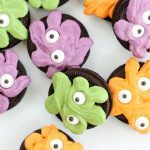 The candy clay should be soft enough to adhere to the Oreos, but you may also use a dab of light corn syrup or frosting. 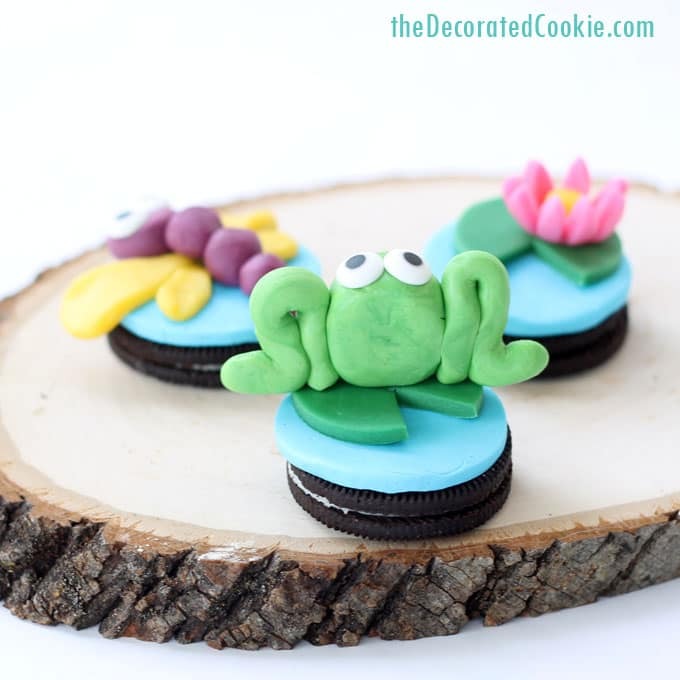 If you’d like a lily pad, roll out the darker green candy clay, cut out a 1 1/2-inch circle and then use a knife to cut a wedge from the circle. 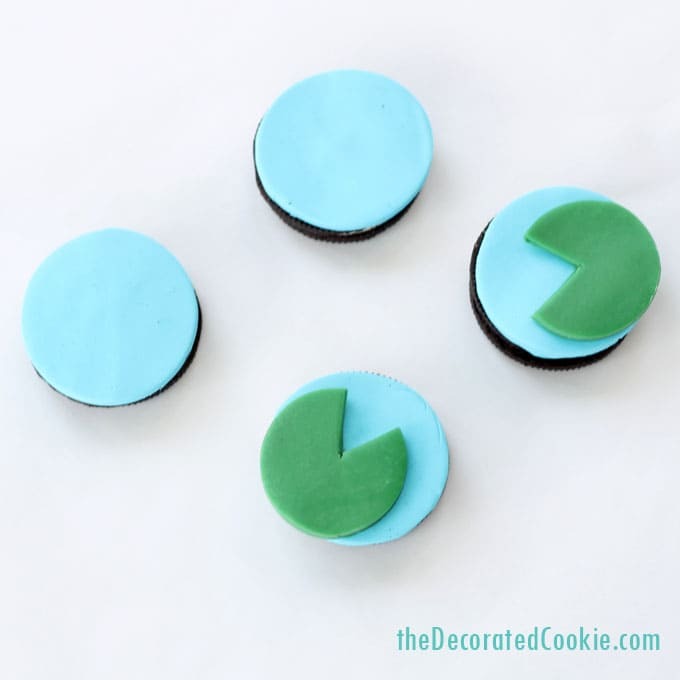 Adhere to the blue candy clay. To make the frog, roll out logs of light green that are 2 1/2 inches long each. Roll a one-inch ball for the body, flattening the front and back and flattening the bottom a bit. You’ll also need two candy eyes. Assemble as shown, using dabs of light corn syrup if needed to adhere. 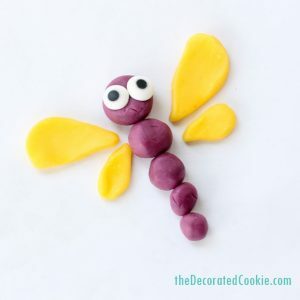 To make the dragonfly, cut out two different size wings in yellow. Roll five small balls of purple candy clay, progressively smaller. You’ll also need two candy eyes. Assemble as shown on an Oreo. To make the water lily, cut out a flower in pink. 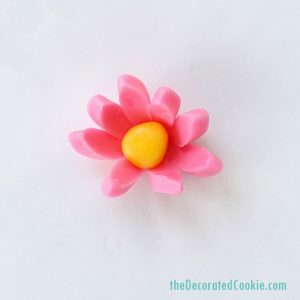 Bend the petals upwards and add a small yellow ball of candy clay in the center. Assemble on a lily pad. 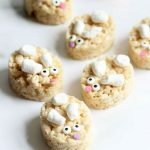 Your candy clay treats are so adorable. It was so much fun watching you create them at the retreat. Thanks for sharing a link to my e-book! I’m so happy you found it really helpful.